What Are Your Questions About God? Everyone has questions about God, do not be embarrassed to admit you have some questions about God. What issues do you have? Here are some encouraging scriptures about God. There Are Answers To Your Questions About God! Think about some questions about God that you would like answers! 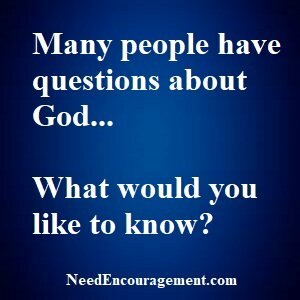 What Questions About God Do You Have? Since we were little children, we all have had questions about God that needed answers. Have you gotten your answers yet? What are your questions about God? Do not be afraid to ask, how else can you or anyone else learn? Parents have some of the answers, but the Bible has them all. A significant influence on us growing up have been our friends and peer pressure. Our purpose is to point you to the Godly wisdom that you can use in your life to propel you to the life that God has planned for you. People all have their own opinions, many of which are very good, but to be safe, I get my direction from God’s word from the Bible. The Bible is the inspired word of God as it says in 2 Timothy 3:16 All Scripture is God-breathed and is useful for teaching, rebuking, correcting and training in righteousness. Questions about the Books of the Bible? What are the most famous/ essential questions in the Bible? Peace With God Is A Total Blessing! Do You Still Have Questions About God? 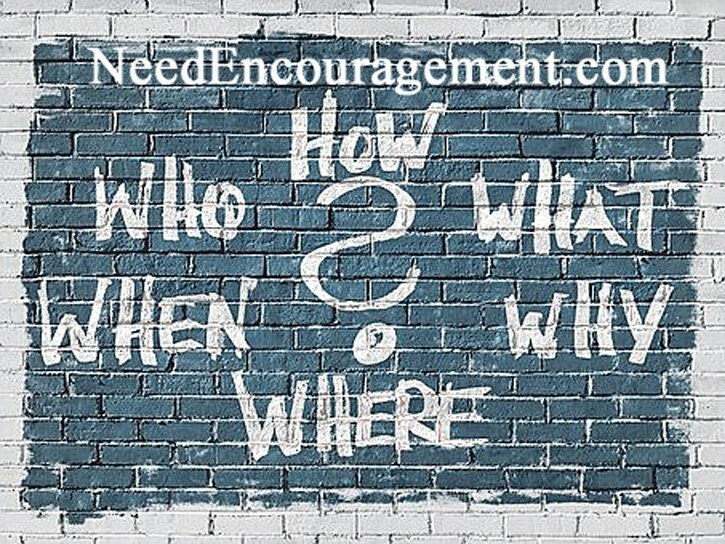 Take all the time you need to find your answers, talk with your pastor and if you do not have a pastor, find yourself a Bible-believing church that can help to feed and direct you in Godly ways, and help you in your relationship with Jesus Christ. If you have a matter that is too big to put off any longer! You can also chat with someone or call someone that can help you 1-800-633-3446 24 hours a day, seven days a week. Questions About God Looked At From Other World Religions!